The machine is supplied with 3 removable tynes (spikes). 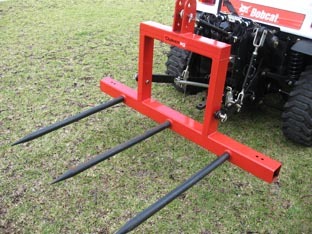 It can be used to pick up logs, loose hay, big square and round bales or remove one spike and pick up pallets! 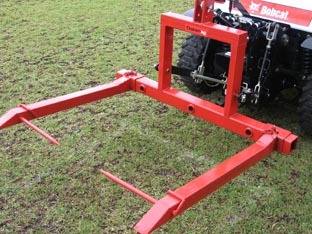 The machine is capable of feeding out round bales by using the adjustable tynes.